Jason and I took a night trip out to Rochester, NY to catch some music at Sticky Lips BBQ and meet up with my old friend Eric who lived near by. Everyone talks about Dinosaur BBQ when they talk about BBQ and Rochester, and no one ever talks about Sticky Lips but this was our 2nd time eating at Sticky Lips (now at both locations), and they are fantastic, and I dare to say, better than Dino. 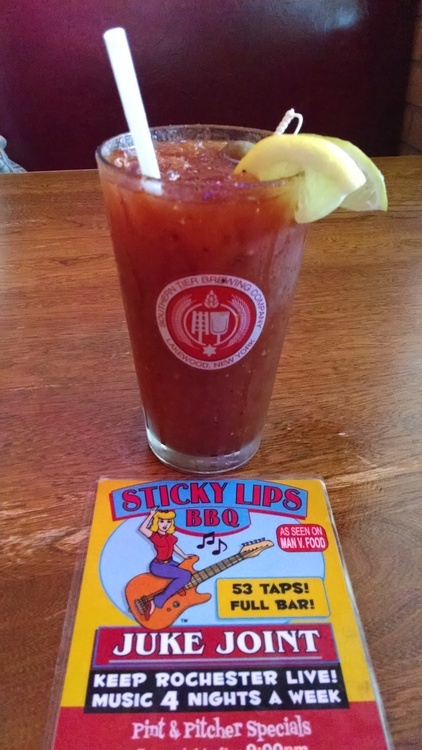 I don’t know if Dino has a Bloody Mary or not, but Sticky Lips does. Made with Absolute Vodka, and served in a pint glass for $5, this Bloody had visible pepper and horseradish for spice. The spice level was nice, and was immediately evident but didn’t linger. It was garnished with lemon, lime and 3 olives and had a good standard taste. It was a tad liquidy but it wasn’t really an issue. I can’t remember what we ate this time, but it was delicious and we were stuffed. We definitely would pick Sticky Lips over Dino for our dining pleasure when in Rochester, especially now that we finally have a Dino in Buffalo. 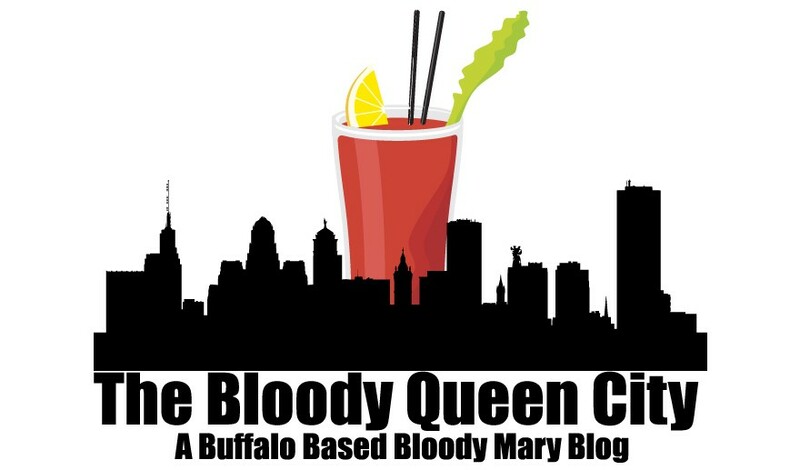 The search for the best Bloody Marys in Buffalo and Beyond!